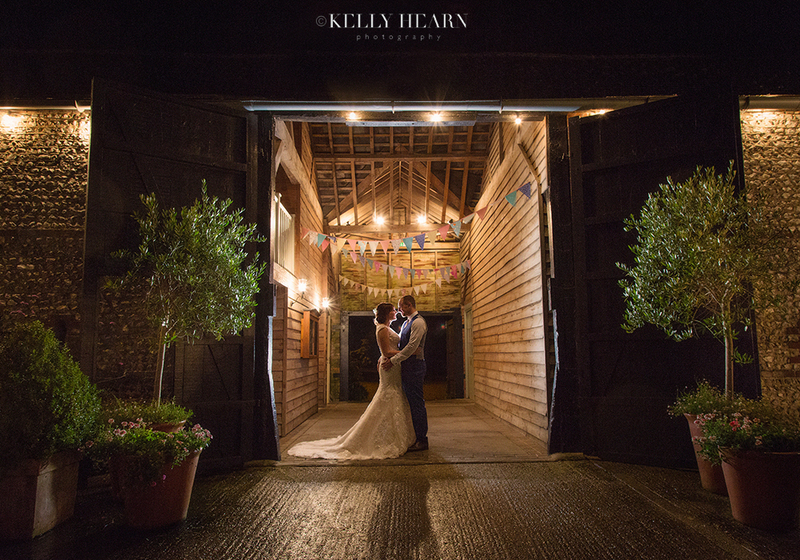 I was delighted to be back at the charmingly restored dairy farm buildings of Southend Barns in West Sussex, photographing my last wedding of 2017 in the low November afternoon sun. 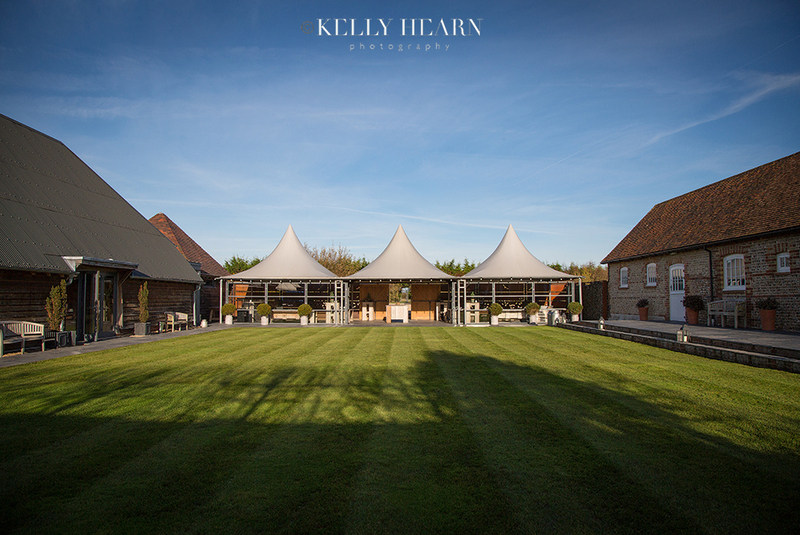 Long shadows stretched out over the green stripes of the neatly mown lawn in the courtyard as wispy clouds brushed across the clear blue sky above the infamous three canopy peaks. Claudette and Aaron’s wedding day was pretty en pointe weather wise and I was excited for all the little magical moments, that I felt certain, we would all experience on this crisp wintery afternoon. For those who adore flowers, Jess and Tom’s floral inspired wedding day captured the rustic and romantic late summer ambience with an abundance of fresh blooms and various floral details adorning the venue and theming outfit style selections. This positively creative couple celebrated their nuptials at a unique scenic countryside barn venue, where the little bit of September rain was embraced and where the fun and celebrations continued long into the evening. 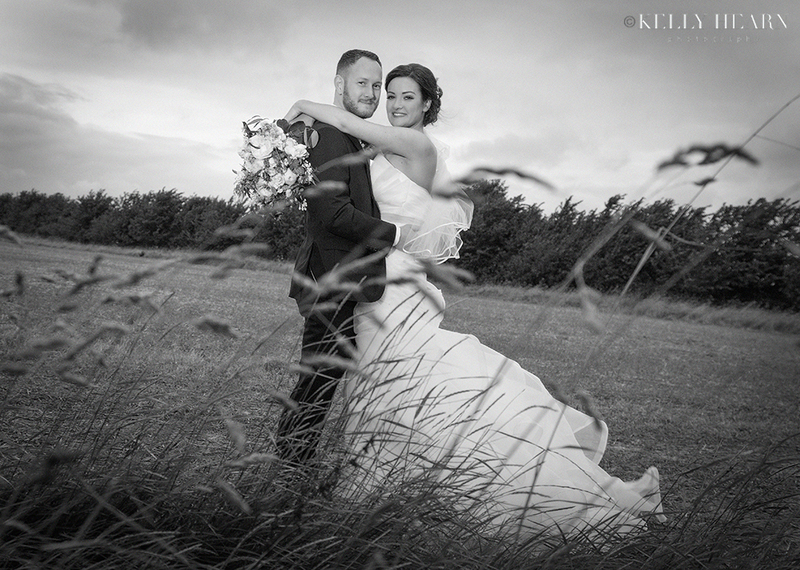 What a perfect day Rachel & Rich's late summer wedding was! We loved being part of their day and being able to capture their special moments. On a fresh August day in Bournemouth, I had the pleasure of photographing a lovely couple who were engaged to be married in the following October. Bride-to-be Melissa was blown away by a doting Gareth, who had led her up to the top of a magnificent hill boasting a backdrop of breathtaking views. Whilst on bended knee, he captured her heart with his thoughtful and romantic proposal. The rest, as they say, is history! Having later booked me to be their wedding photographer, it was decided that an engagement shoot was an ideal opportunity for a little pre-wedding photographic warm-up. The couple accompanied me up to the top of the very same hill where the engagement had taken place and there we stood and marvelled at the views. They reminisced as they unwrapped the heartwarming proposal story and, like Melissa, I too was blown away (but this time literally)! - The wind on that hill was so ridiculously strong we did all we could to not get blasted back down onto the beach! 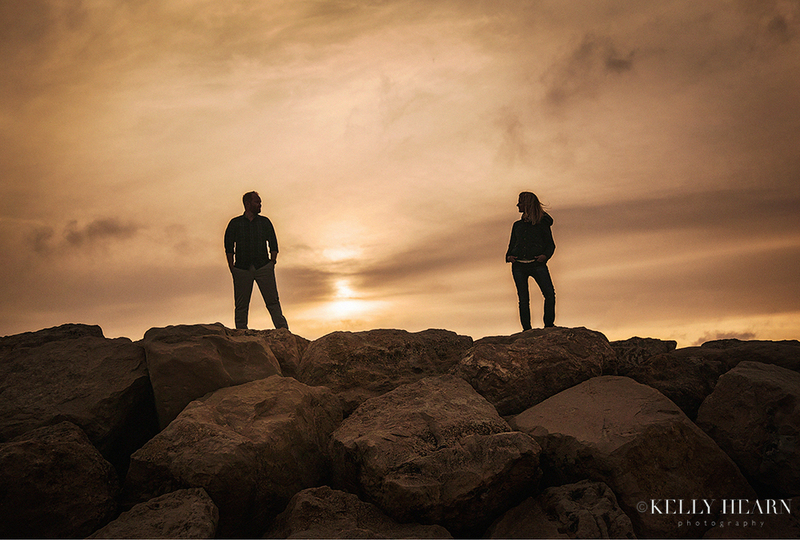 Yet somehow we did end up there, a touch windswept but still in one piece, and there I was able to capture Melissa and Gareth, standing apart, individually strong, yet together against the bold yet dreamy melting amber sky.